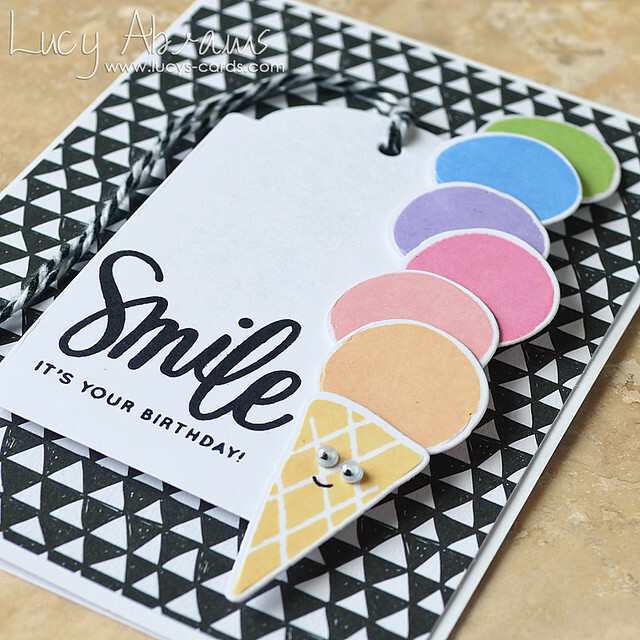 Have you seen the gorgeous new inks from Simon Says Stamp. In their latest release, they added 12 new colours to their collection, and they are gorgeous. 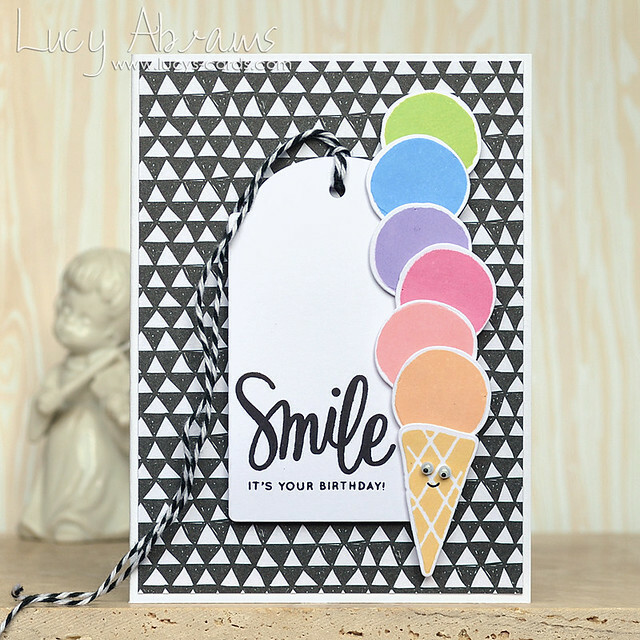 The fun background paper is from American Crafts High Five pad. OK, that's all for today. Have a lovely day. You win the cleverness award today. LOVE that ice cream cone. The happy placement of Wiggle eyes makes this card special!